Paymentwall, a global online payment provider, announced that it has integrated with Interac Online, a popular online direct debit payment method in Canada. This deal allows international businesses to now accept direct debit payments online without having a registered company in Canada, giving them access to the country’s C$39.9 billion online market. Research by Paymentwall shows that 47 percent of Canadians prefer to pay with direct debit in lieu of a standard credit card, and companies capable of completing these transactions can make almost twice the revenue than those who cannot accept direct debit payments. 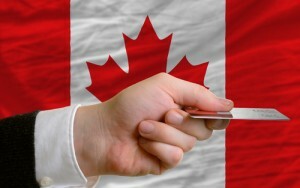 According to a press release, this integration with Interac Online will enable non-Canadian companies, including Wargaming, Youzu, Bigpoint and Smilegate, to start accepting online direct debit payments in Canada through participating financial institutions, such as RBC Royal Bank, Scotiabank and BMO Bank of Montreal, just to name a few. Paymentwall has integrated over 150 payment methods worldwide to offer global payments coverage for users in more than 190 countries.